What are the factors that can affect the price of a private lesson? What is included and what is not included in such a lesson? If you have thought about starting to learn how to play the violin, you’ve probably wondered about the costs of this entire process. In an attempt to come to your rescue, we have prepared an article on the topic. Frequently, violin lessons last between half an hour and an hour and the cost might vary depending on the knowledge and expertise of the teacher. Plus, this economic aspect is also influenced by the value of the location. A 30-minute lesson has an average cost of 40 dollars, a 45-minute lesson is around 50 dollars, while for a 60-minute session you might have to pay as much as 65 dollars. It is vital that you remember that, for young and beginner players, 30 minutes is usually enough. 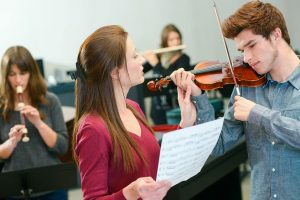 Still, older and experienced students have to spend at least 45 minutes to one hour each week with a teacher to practice and improve their technique. To help their students stay motivated, some teachers also encourage them to attend concerts and to go to specialized music camps and group classes. To take part in these activities, a student has to pay extra. However, it is worth pointing out that these are recommendations and not requirements and, thus, they are not obligatory. Additionally, some studios allow learners to participate in recitals free of charge. Apart from these costs, you also have to take into account related charges. As the lessons progress, you might have to change the strings of your violin, or you might have to invest in a violin tuning fork. Yet, because these incidentals are minimal, you should not consider them a factor that should discourage you from starting the learning process. Adult violin lessons are not necessarily more expensive than the ones for children. For instance, for a private lesson for a child, one has to pay between 15 and 35 dollars per half an hour. The price can rise to 40 to 100 dollars per half an hour, depending on the special qualifications of the teacher. An alternative might be to pay for group lessons, as they only require you to spend 40 to 100 dollars every month. 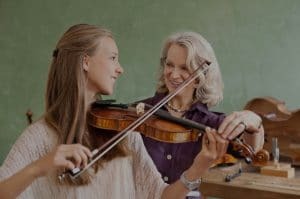 Although they are a good addition to private lessons, these group classes are not considered sufficient, especially if you want your child to learn how to play the violin at a certain level of skill. 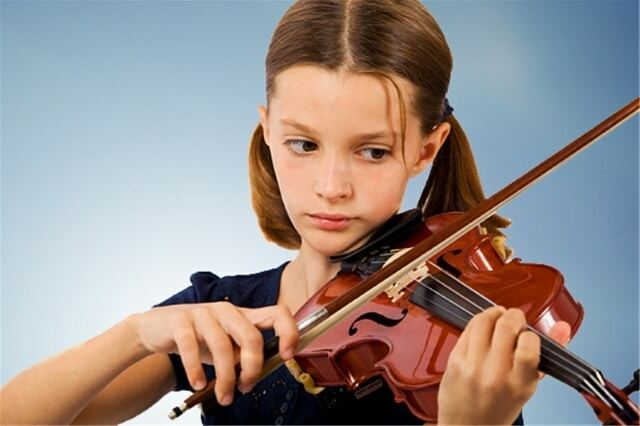 One advantage that private lessons have is that they maximize the learner’s musical potential. Even more so, they tend to be frustration-free, given that they offer the appropriate pace for each student. As a result, you won’t feel disappointed by the fact that other players are able to learn a piece faster than you are. What is more, they build confidence, as the instructor is capable of assessing the learner’s level of skill and, therefore, help him/her improve at a faster rate. Another advantage of these lessons is that they can teach one how to practice even when a teacher is not present. As a result, a desire to improve is instilled naturally. Because teachers are great motivators, they can also help the students get through those moments when they feel like giving up. Firstly, this aspect is influenced by the formal training of the instructors. Therefore, a teacher that has an advanced degree will most likely charge a higher price. Also, the student’s level of skill is another determinant factor as beginner students have to pay less than advanced players. The reputation of the teacher should also be considered, as those instructors that have a certain level of results are likely to charge more for the same type of lesson. However, you should remember that, rather than the credentials of the person, it is crucial that you find a teacher that you find it easy to communicate with. Moreover, because they are well aware of this aspect, some teachers offer a free initial lesson. The price of the lesson is also affected by the location of the lesson per se. If you take online lessons, you will most certainly have to pay less than a student that has the instructor come to his/her home. Also, if you live in a rural area, you will pay less than those students that reside in a high-dollar area, as the cost of living is higher. What is more, the type of music that you want to learn how to play might also be a factor that influences the cost of the lessons. During a private lesson, a teacher will monitor the student’s progress, and it will help him/her by explaining specific techniques. Even more so, instructors will provide feedback and will supply him/her with the needed practice pieces. However, private lessons do not include the materials one needs to learn to play the violin. For example, the teacher will not supply the students with sheet music and other necessary books. Also, any fee that has to be paid for the student to take part in recitals is not covered by the instructor. Before you consider your budget, it might also be a good idea to spend some time assessing the market in order to find a violin that suits you. Although it is not recommendable that you pay a lot of money for your first instrument, it is advisable to purchase one that is sturdy and reliable so that you don’t have to pay to have it repaired often. If you don’t want to upset your family and neighbors while practicing, you should also invest in a violin silencer so that you can play in the comfort of your home, no matter the hour.